located in southern New Hampshire. For many remodels and even repairs, several different skill sets are needed to successfully see it from start to finish. Although we subcontract certain trades—electrical, plumbing, etc.—where needed, we try keep most tasks in-house. This includes sheet rock, painting, finish carpentry, floor refinishing, tile installation, concrete pouring, and deck building. Our customers can feel confident that their house will not be an open house to an array of subcontractors. Sweeping up at the end of each day is a given. But that's just not enough when it comes to working in a house that is still a fully functioning family home. To create as little disturbance as possible, dust barrier walls are put in place to close off the work area from the rest of the house. 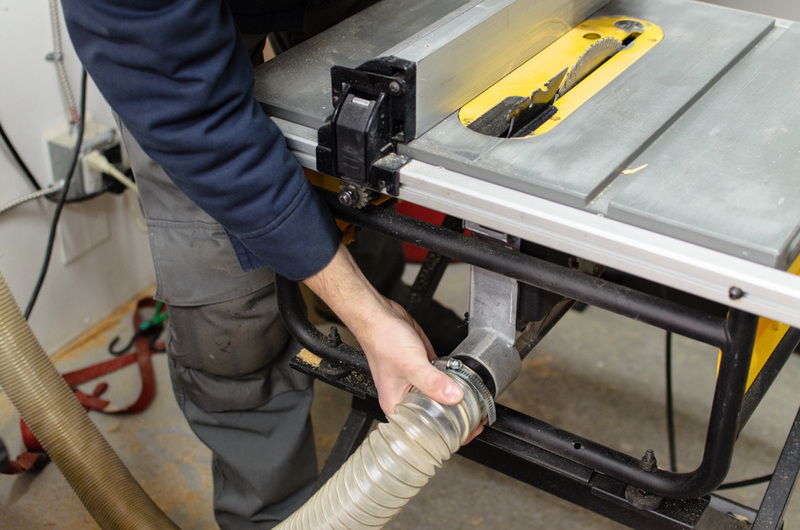 Further, the majority of the tools we use are equipped with dust extraction capabilities to keep the area clean at the source. Have workshop, will travel. It’s easier to keep a worksite (i.e., your home or business) clean when much of the prep work is completed outside in our mobile workshop. We pull up, park it, plug in, and are ready to go. It’s convenient for us and our customers. Experience has taught us that good communication is essential to every job. Vague promises and unanswered questions lead to unhappy customers. We use the popular web-based tool Basecamp to manage our projects. It allows us to collaborate with customers on everything from bathroom tile choices to crown moulding styles. All designs and documents are kept in one place and customers can ask questions at any time of day. Photos are taken periodically throughout the entire remodel, repair, or installation process. Doing this has proven to be very beneficial to both us and our customers because it allows us to show them what we’re seeing as the job unfolds. This is especially important when work is being done on a roof or when the customer cannot be on site for an extended period of time.